Charlie McGee, an innocent little 7 year old, has a terrible secret. 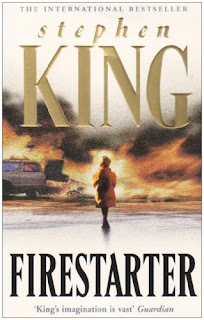 In the flick of an eye, she can start fires, and she is oftentimes unable to stop them. Because of Charlie's abilities, The Shop (an branch of the CIA), constantly pursues Charlie and her father Andy to be able to study Charlie for militairy use. As Charlie and Andy travel all over, The Shop is always one step behind. Although they may be at a disadvantage, Charlie and Andy are constantly trying to find a way to tell the world their sad story, and end the persecution of themselves. 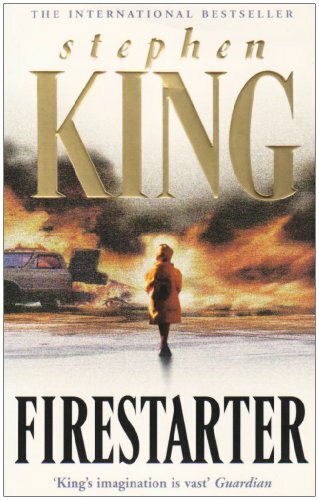 Firestarter is a great book. Stephen Cook is a great author. What more can I say?